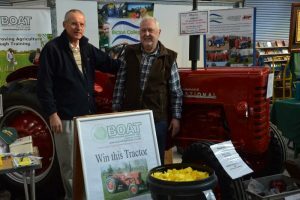 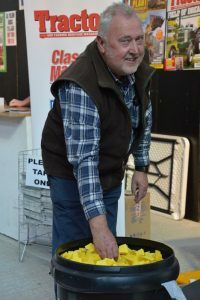 The Tractor Draw took place at Newbury Tractor and Machinery Autumn Show on Sun 9th Oct. Paul Sawatzki who donated the tractor made the draw, and the winner of the Tractor was Matthew Collett from Crediton. A formal presentation will be made probably at Bicton College in early November when everyone involved can get together. BOAT trustees would like to thank Chris Jaworski and his team of engineers from the Engineering dept at Bicton College and our sponsors Vapormatic and Firestone Tyres for their support in restoring the tractor.